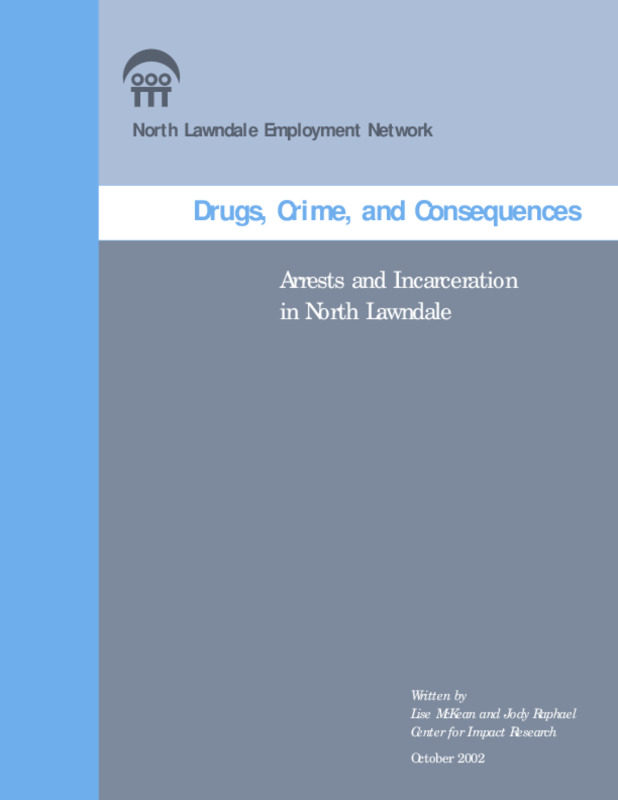 The North Lawndale Employment Network (NLEN) and the Center for Impact Research (CIR) have partnered on the Alternatives to Incarceration Project. For the first phase of the project, NLEN and CIR conducted research to document the high rates of involvement of North Lawndale adults in the criminal justice system as there is no single data set that provides this information. The project's second phase will entail research, including working with community advocates as court watchers, to determine the extent to which sentencing alternatives are available to and used by low-income, minority offenders. The research process will provide information for planning an advocacy campaign and will build the capacity of community leadership to promote alternatives to incarceration for non-violent drug-related offences. This project is funded by the Woods Fund of Chicago. Copyright 2002 North Lawndale Employment Network. All rights reserved.